As human beings, one of our most basic needs is sleep. In fact, the effects of sleep deprivation can be devastating to us both physically and mentally. It has been shown that a lack of sleep can lead to a compromised immune system, leaving us more vulnerable to sickness and disease. Many studies have linked sleep deprivation to a decrease in daytime productivity. Getting less than 6 hours of sleep per night on a consistent basis, as is the practice of about 15% of the population, means that these people experience an increase in stress, fatigue, sadness and anger during the day, and work performance almost always declines. On top of that, these people are more likely to suffer injuries than their well-rested counterparts. Additionally, many sleep-deprived people have a difficult time getting along with others. Studies show that sleep affects things like reaction time, mathematical ability and other cognitive functions, and the results were consistent and clear: the more sleep you get, the better your performance. Other studies have shown that sleep deprivation can cause judgment and decision-making abilities to decrease by 50%; communication skills can go down 30% and memory down by 20%. With this type of research out there, it doesn’t take a genius to make the connection between sleep and well-being. There are many reasons why people might not get enough quality sleep. For many, the reason stems from their sleep surface. Did you know that the average person tosses & turns 40-60 times during the night? So much for getting that much needed shut-eye. Firm, flat mattresses aren’t very good at distributing the body’s weight, and as a result pressure hot spots develop along the body. People toss and turn from one position to another mainly to relieve these pressure points, which occur at various places along the body, where you come into contact with your mattress. Back sleepers are likely to experience pressure points on the back of the head, along both shoulder blades, on hip bones and heels. For those of us who sleep on our sides, shoulders and hips tend to take the brunt of the pressure. If you are one of those people who can’t get comfortable at night, you may want to consider what you are sleeping on. In order for something to be supportive, it must have a shape that is consistent with your body’s shape, and it must have some cushion. There are a number of options available in sleep surfaces today in a range of prices. The solid memory foam mattresses have gotten very popular due to their ability to distribute the body’s weight more evenly, reducing pressure points and improving support. These mattresses can sell $2,000 or more! Contour Living has just introduced the Soft Touch? Memory Foam Mattress starting at only $350 for the Twin size. You’ll realize savings of up to 85% and still get the same top quality memory and orthopedic foam as the more expensive brands. Plus, order now and you will receive free shipping and a free full bed massager with your order. Read More now at our Contour Living Store. Another option might be the Contour Cloud Mattress Pad. 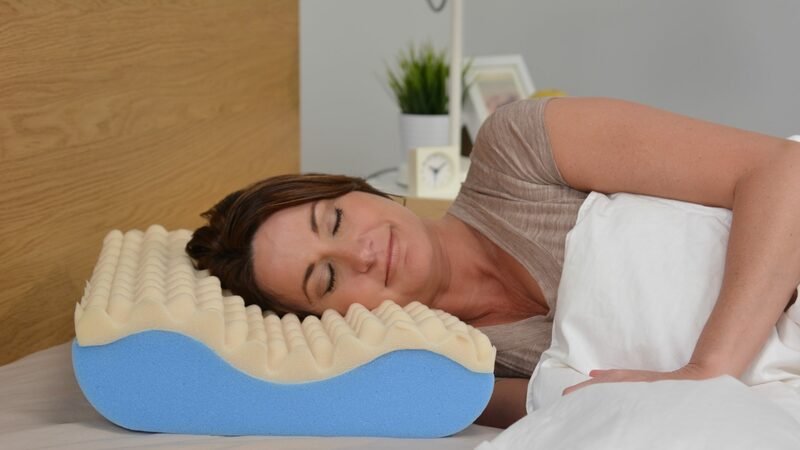 It can be used with your existing mattress to provide a more cushiony, better supporting sleep surface, and is an affordable alternative to the more expensive memory foam mattresses. Prices start at less than $90 for a twin size. The Contour Cloud Mattress Pad’s 2-1/4″ thick triple layer design features a top layer of heat sensitive memory foam that molds to fit every curve of your body. The middle layer acts as a lumbar support for your lower back, filling in the gap that flat beds tend to leave to more evenly distribute your body’s weight and relieve pressure points on your shoulders and hips. The base layer is made of high quality, dense foam that prevents the mattress pad from bottoming out beneath your body’s weight. Click here for more information on the Contour Memory Foam Mattress line. I am a manufacturer of mmeory foam mattresses and the warmth you feel are due to people using the mattresses incorrectly. Memory foam has an open cell design that allows air to flow through the foam itself. Most people think that this will be enough, but it isn’t. You need to use breathable sheets and/or mattress pads with mmeory foam mattresses to alleviate any gathering of heat. Memory foam will actually reduce excess heat. Let us know if this answered your questions and let us know if there is anything we can do to assist you.